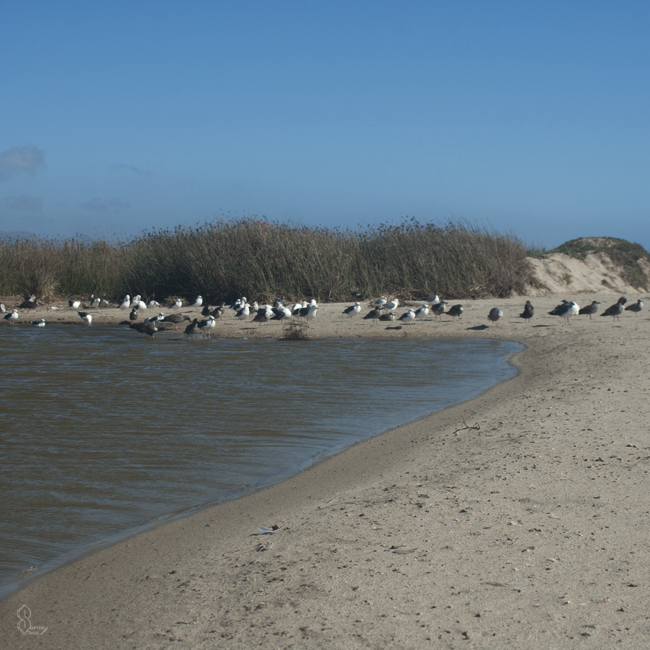 Birds have flocked to the beach in masses lately, and they usually frequent this small lake by the ocean. 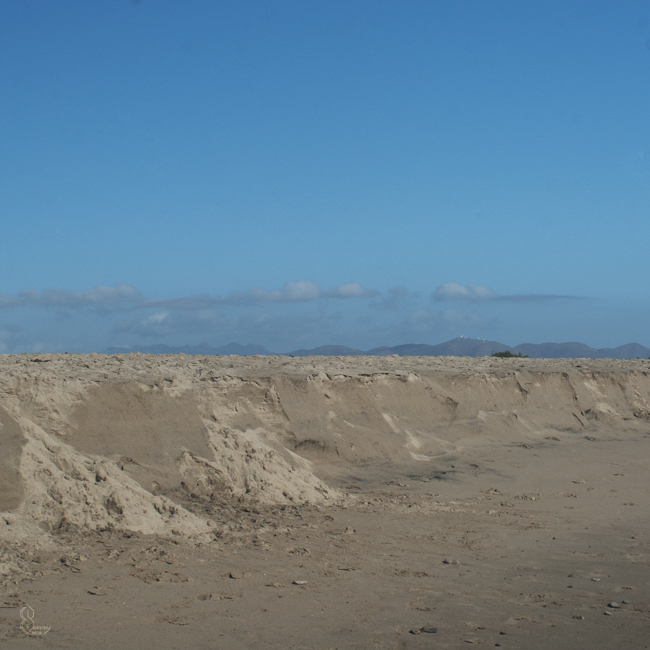 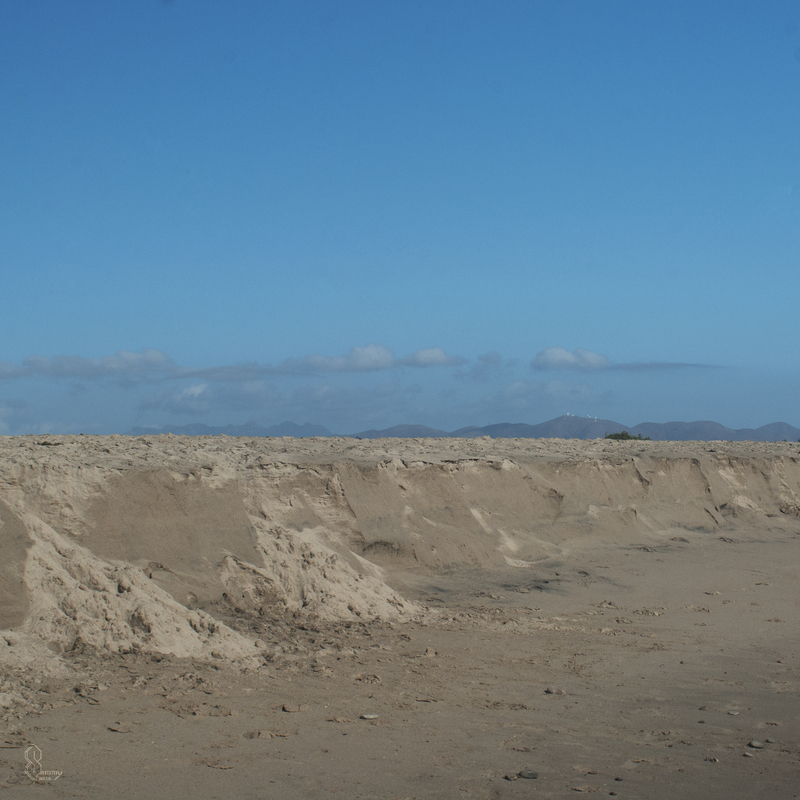 A dramatic effect of wet sand ravaged by the waves against the rugged mountains.. 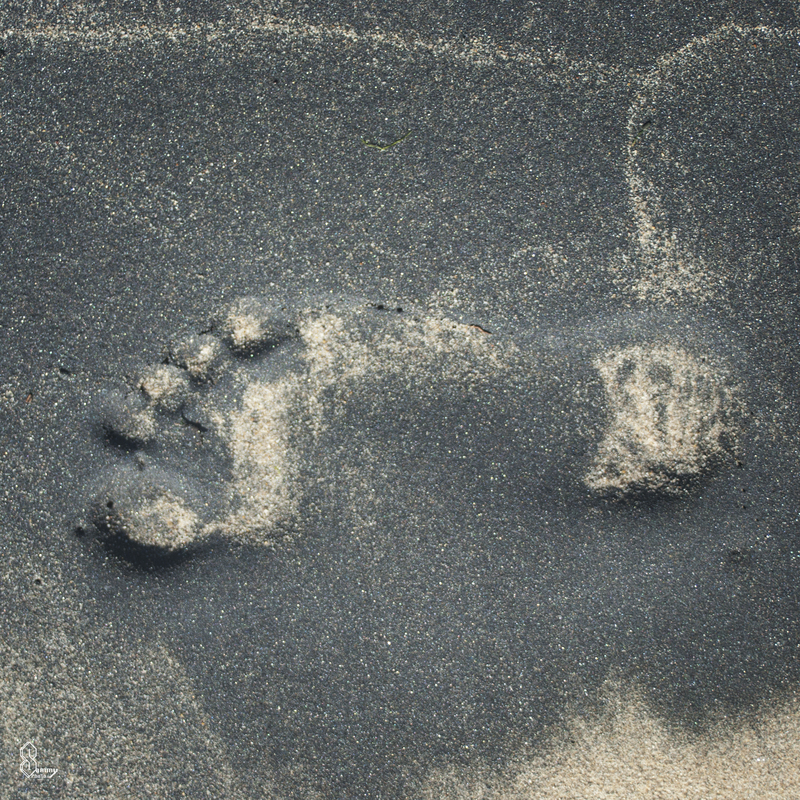 I was lucky to find this footprint in the sand perfectly preserved in a thin oil layer. 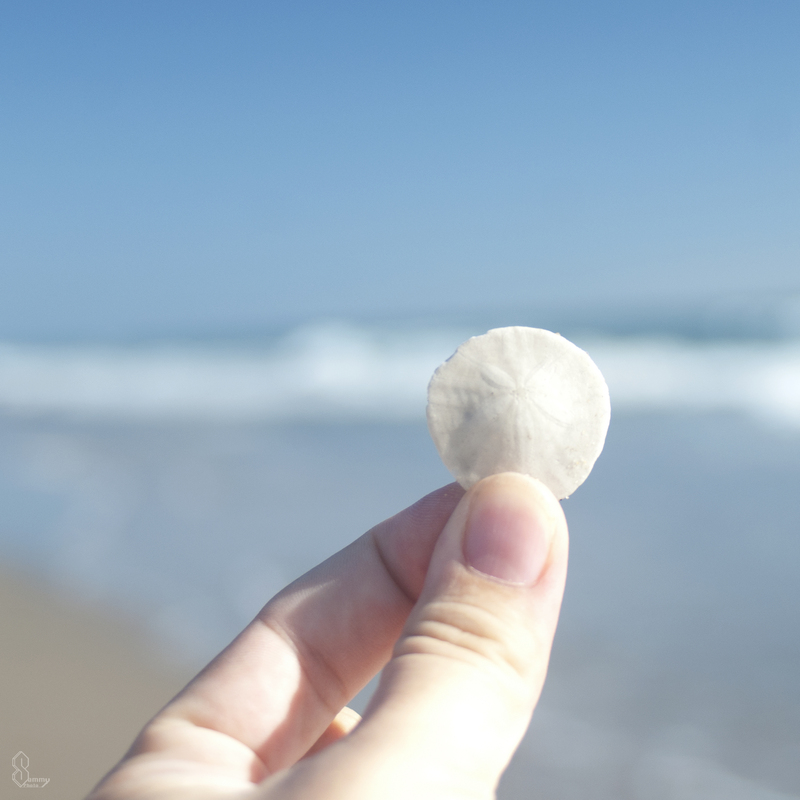 I found a small sand dollar that looked really clean, so I decided to snap a picture of it in the sun.